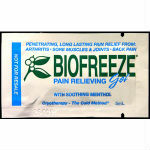 Get a free sample of Biofreeze Pain Relieving Gel. Complete the short form and simple survey to receive your free sample. I have heard about this.